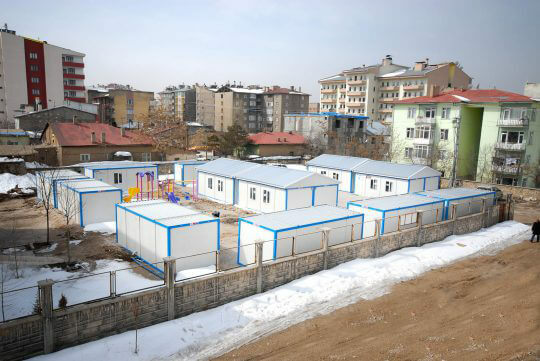 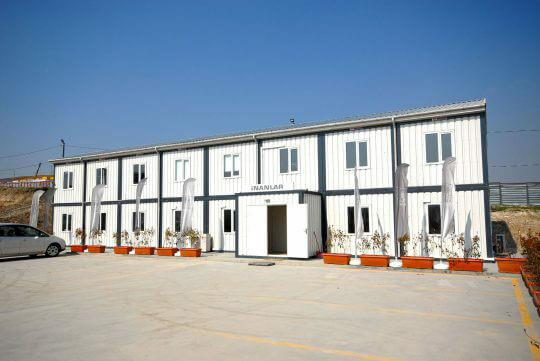 Making a difference with high quality products in Turkey and around the world since 1989, Prefabrik Yapı A.Ş. 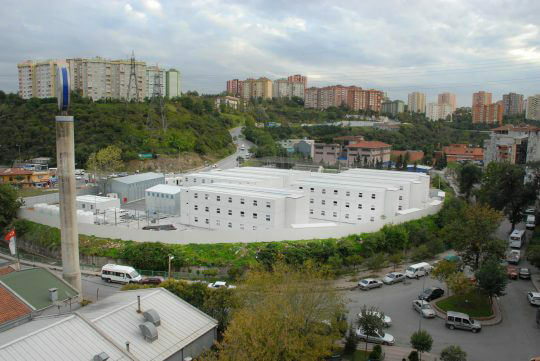 is backed by strength of Hekim Holding, a leading and pioneer company. 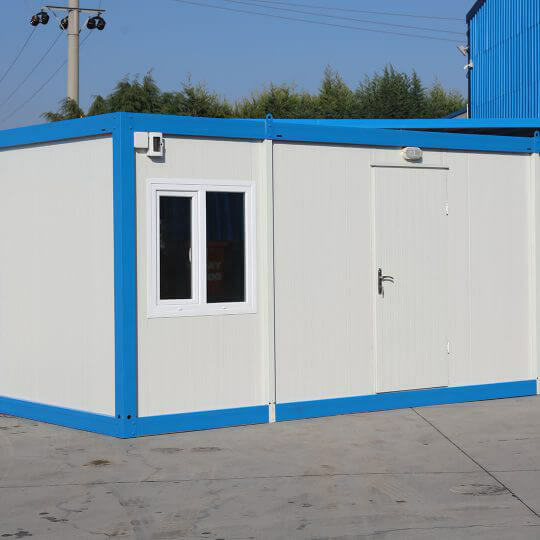 Office container group is one of the products exported to hundreds of countries in 6 continents and withstand to all climates. 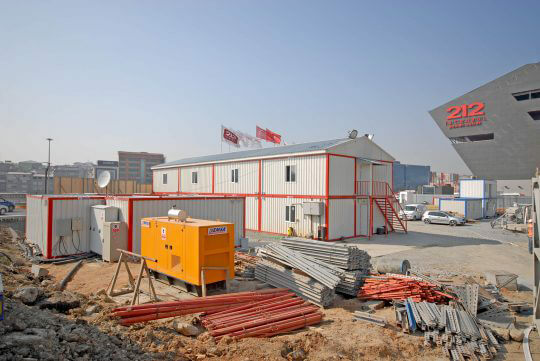 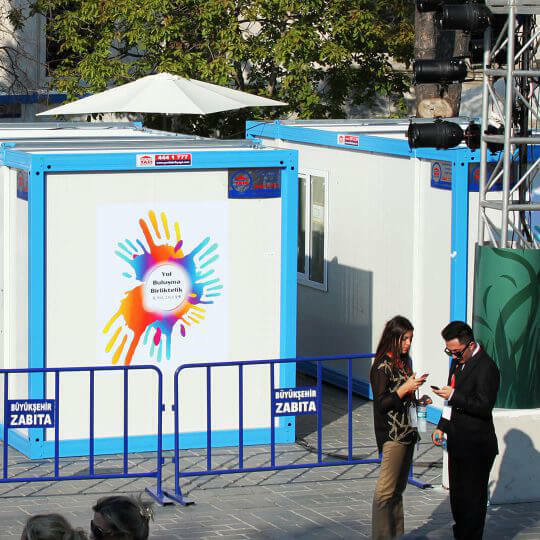 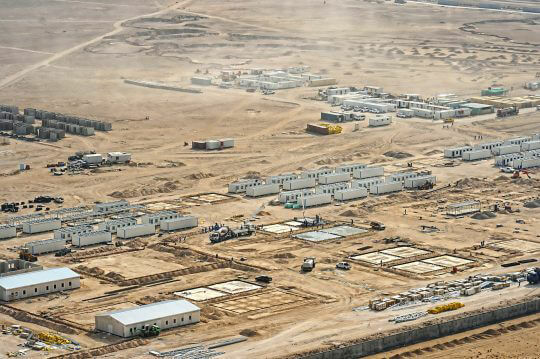 Office containers particularly used at construction work sites are often preferred for their practical use. 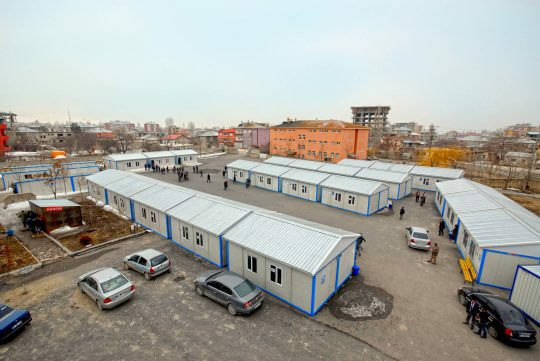 These structures are quickly and easily installed with number of storeys may depending on requirements. 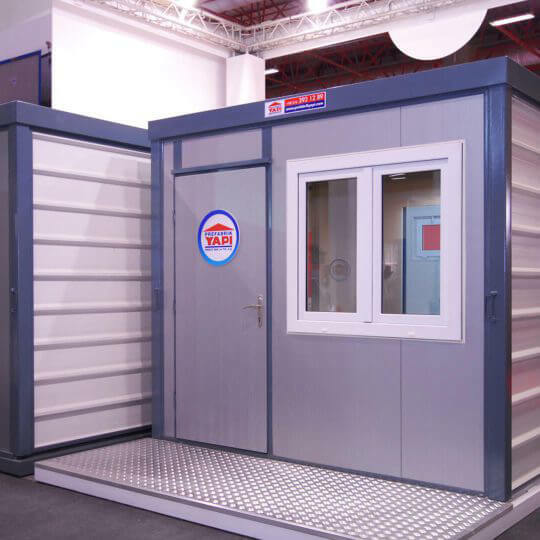 The products offer great advantages to both manufacturer and the user in terms of transportation and installation, they can be designed as needed depending of the intended use and installation location. 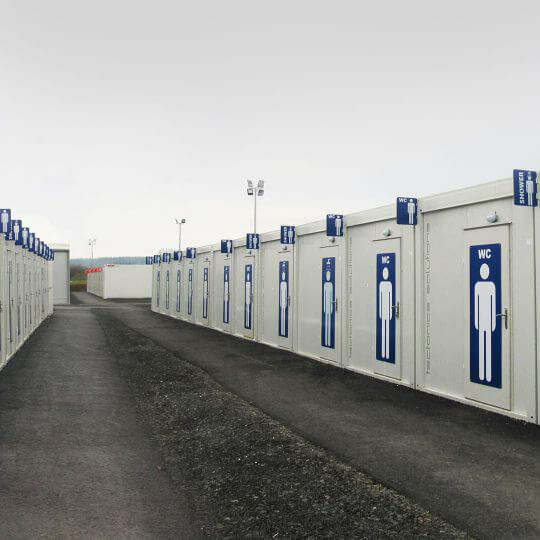 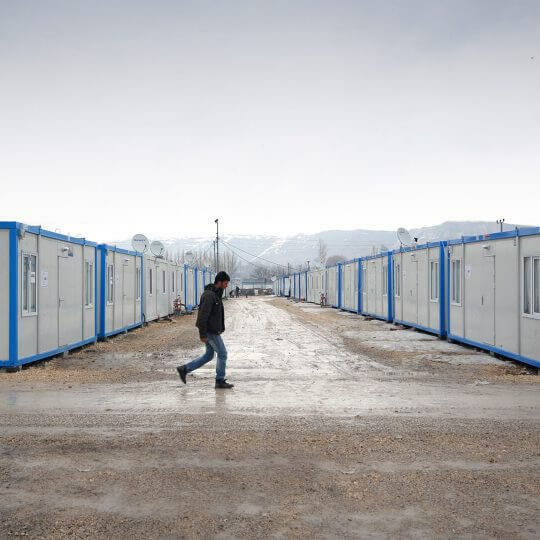 The containers stand out with their lightness, and making difference with their robustness. 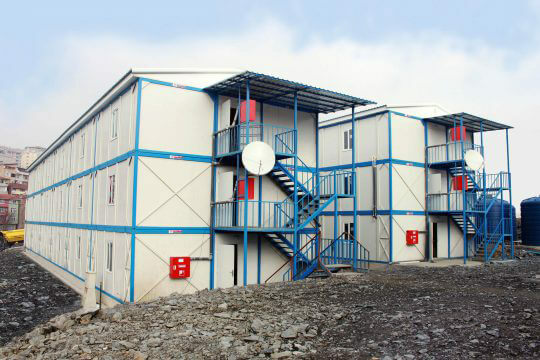 The products developed specifically to fully fit all climates also provide thermal and water insulation. 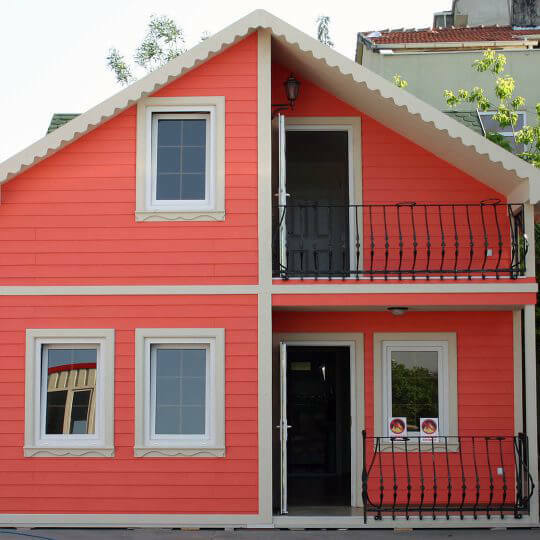 They offer a comfortable use with different insulation materials. 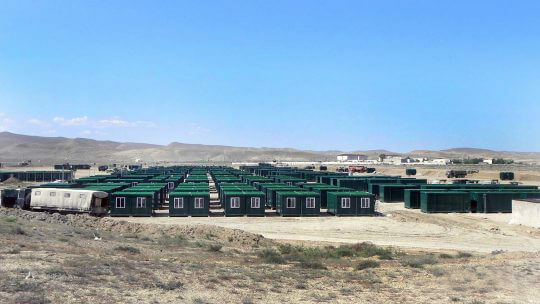 Containers allow relocation as needed, and can be easily moved from one place to another. 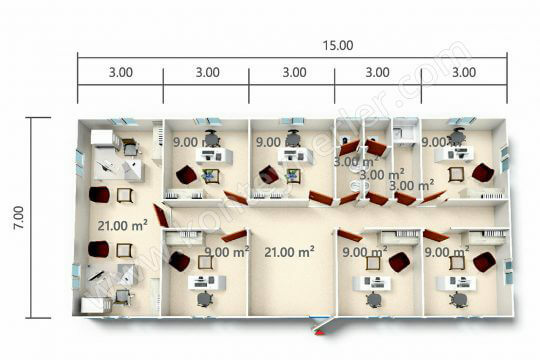 Special areas can be freely formed with structures that have thin and insulated interior walls, interior space can be organized as desired. 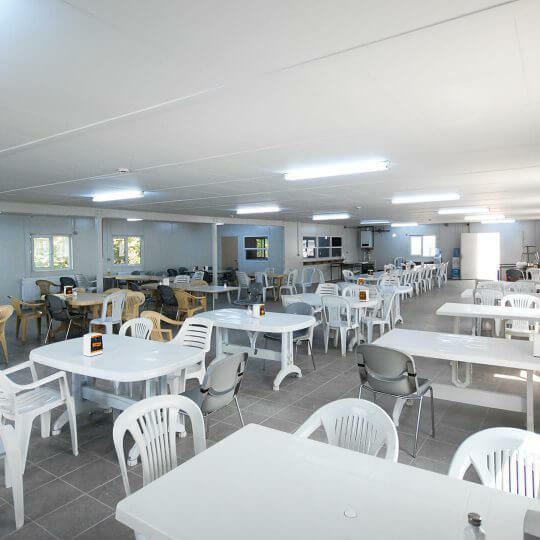 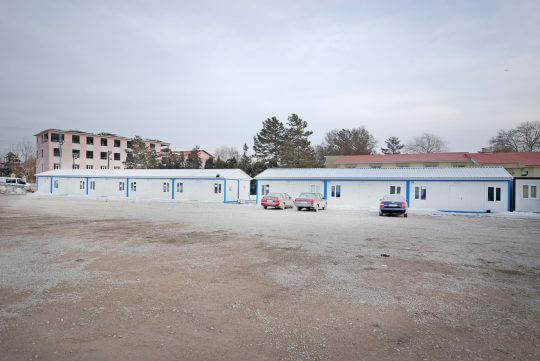 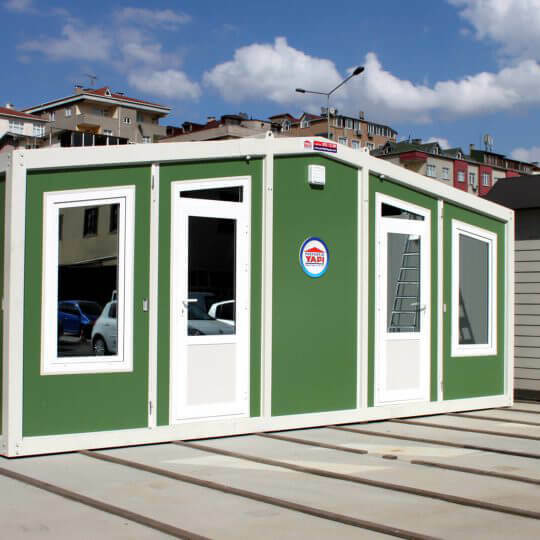 Capable of manufacturing in custom sizes, Prefabrik Yapı A.Ş. 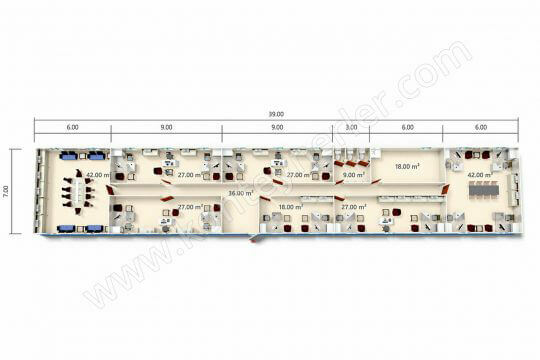 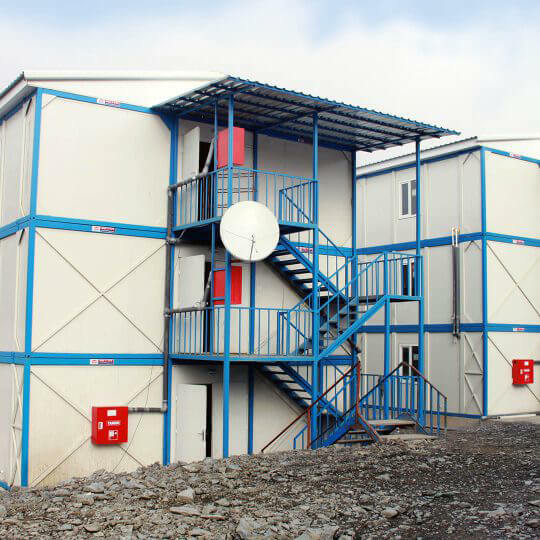 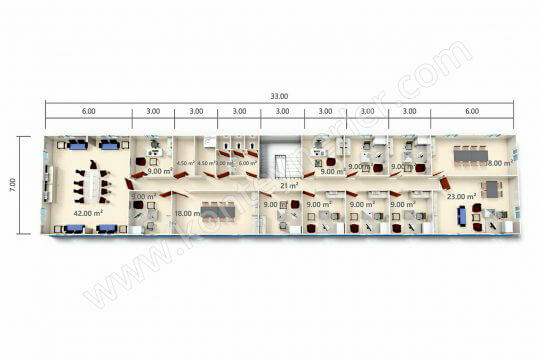 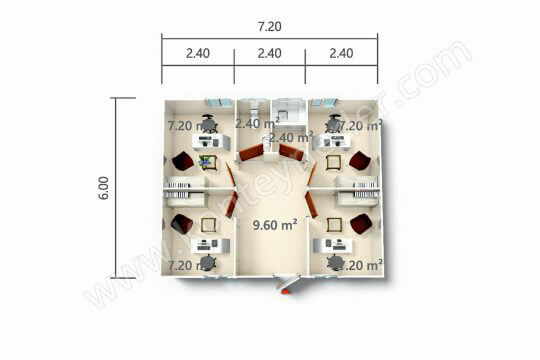 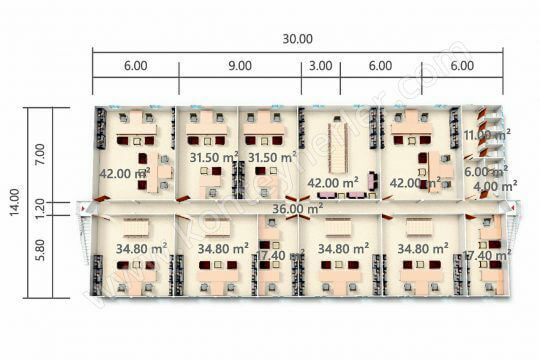 Can meet small-scale container needs as well as much bigger, two or three storey structure requirements. 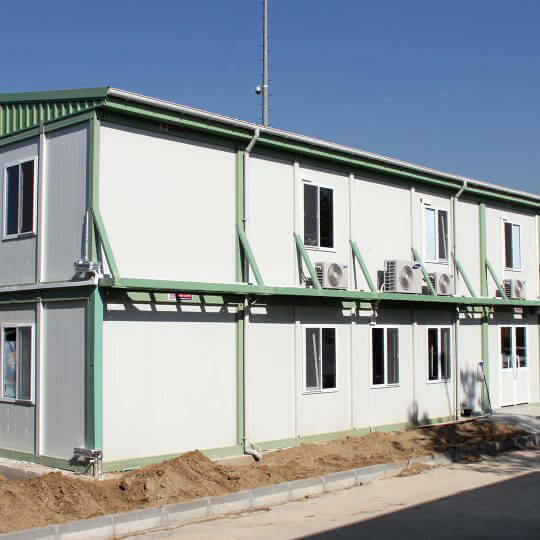 HekimPanel is used as as exterior/interior walls of the product, and insulation material is polystyrene foam (EPS), rock wool or polyurethane. 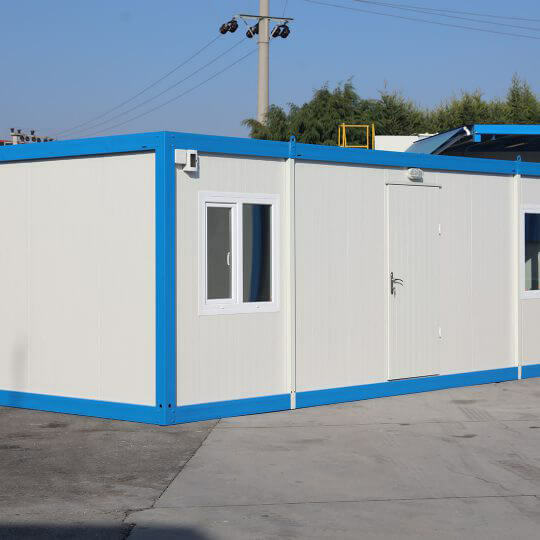 You may contact us to receive the best service for office containers that fit every need and demand, and easily own a quality container.